This Single Sided Porcelain sign (SSP) is white and orange. There is a small die-cut half circle on top of the main rectangular sign. 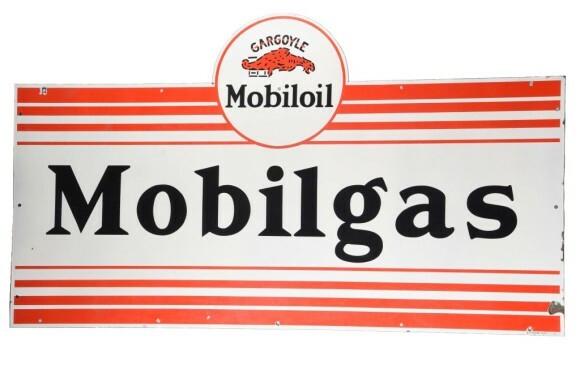 At the top is the logo, and in the center of the sign is text that reads “Mobilgas.” The sign is 41″ by 72″.